Dedicated to providing superior customer service to each one of my clients no matter how big or small the home might be! Kim works as a full time REALTOR with a flexible schedule in mind. She strives for excellence by always putting the needs of her clients first and foremost. Kim prides herself in specializing in the following markets: Jefferson, St Louis/City, Washington and Franklin Counties. Kim has resided locally for over twenty-eight (28) years and prides herself in knowing her community well. Her years of knowledge in the surrounding markets aid potential buyers in finding their one of a kind dream home! Professional back ground has always encompassed the love of Real Estate with 26+ years in the property management profession. 85% of Kim's business has been dedicated to working with first time home buyers, helping to educate and guide them to a smart purchase. Kim aligns herself with a team of top lenders an inspectors whom are extremely knowledgeable an available to answer calls anytime of the day or week. 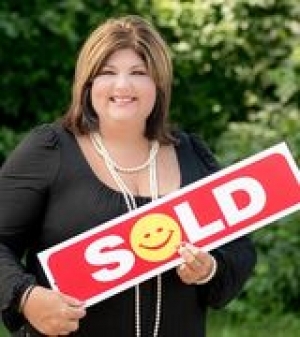 Looking to sell your home please contact Kim for your free consultation. Advice is always free! No hidden additional fee's, along with our easy out clause! I welcome all calls an I GUARANTEE a phone call back same day!